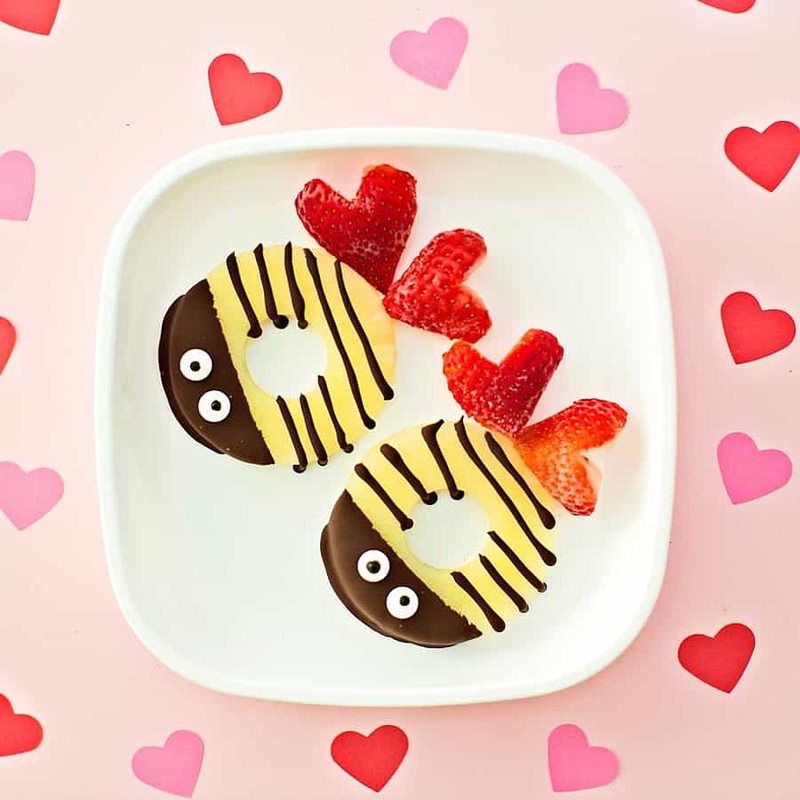 Make Valentine’s Day extra sweet this year with this Valentine Bee Mine Fruit Snack For Kids! 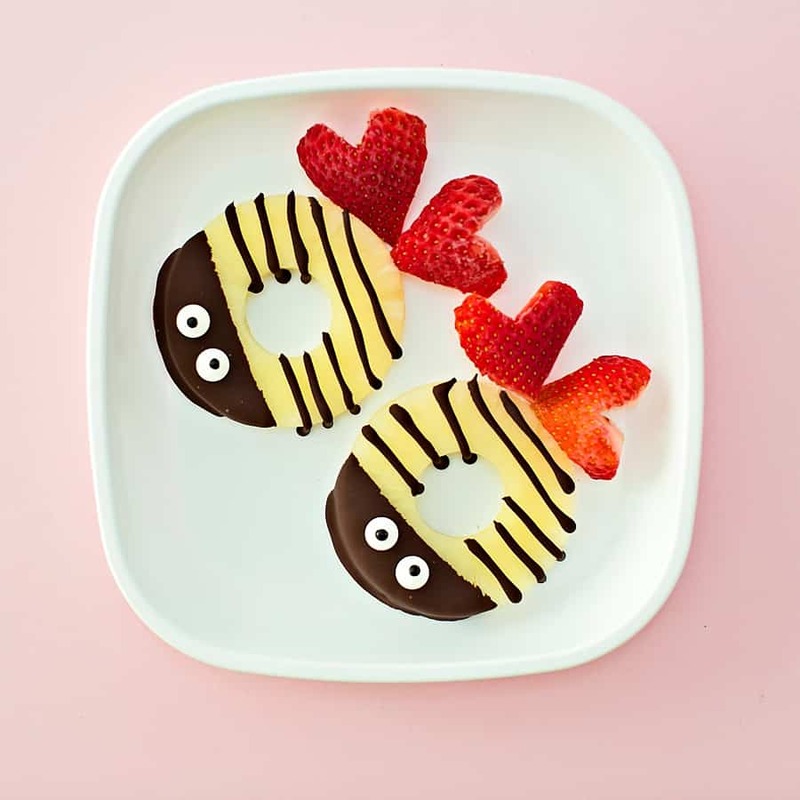 This adorable fruit bee snack is easy to make with pineapple slices, strawberry wings and a bit of chocolate. 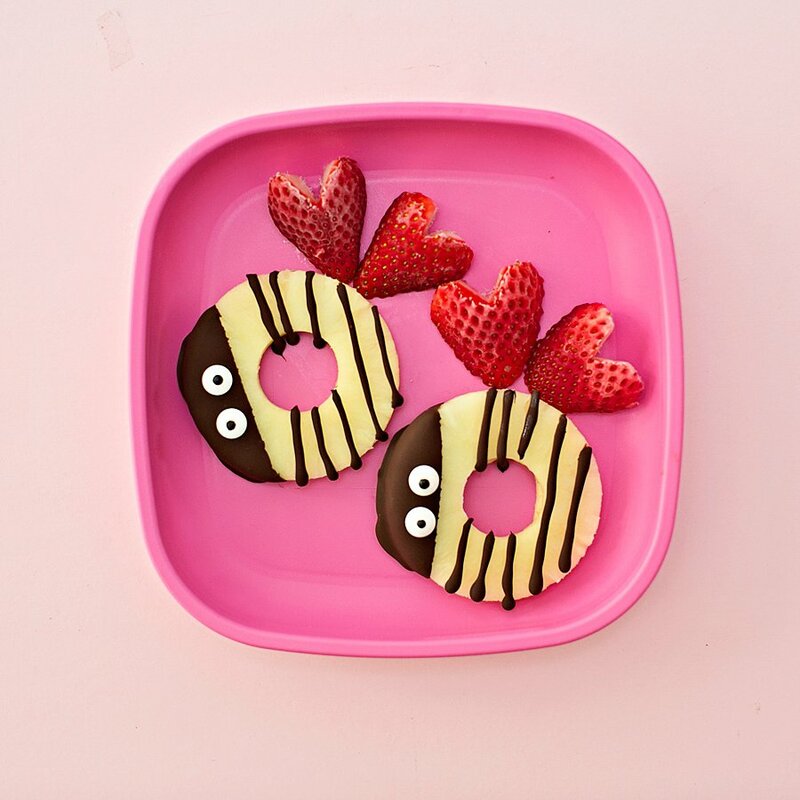 We were inspired by a cookie bee version seen here and thought it would be fun to make these all fruit for a healthier twist! 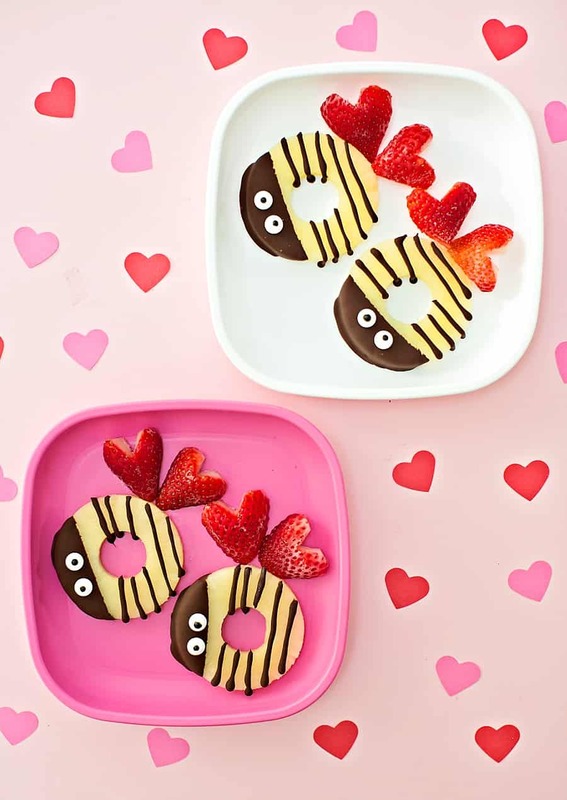 My kids loved this adorable Valentine bee and it made for a delicious and refreshing after school snack with just a bit of sweetness to make this an extra special treat. 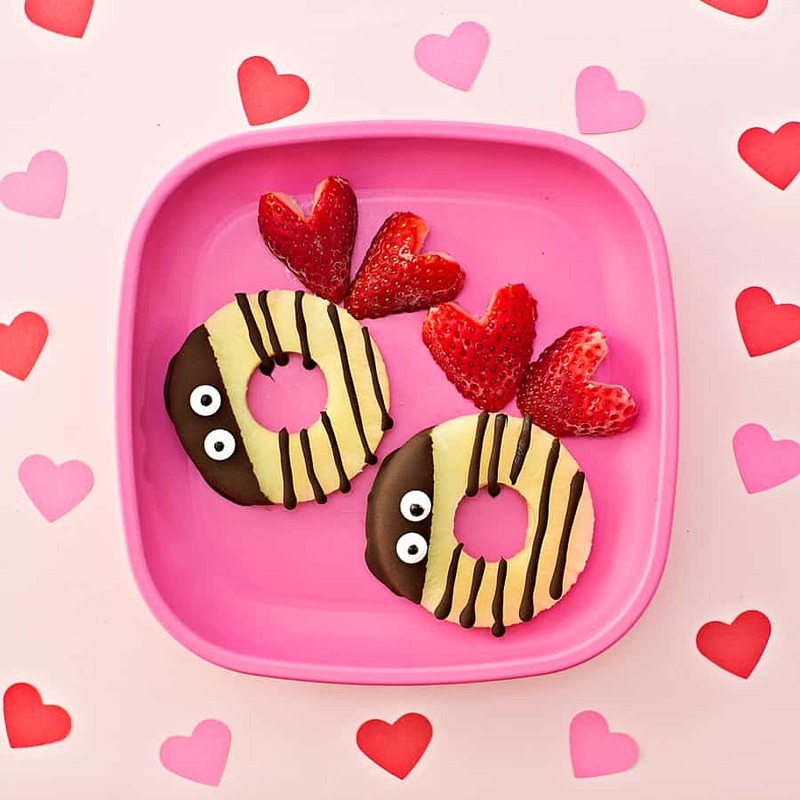 Make this delicious bee snack any day of the year to sweeten up your kids’ day or as a sweet Valentine dessert! 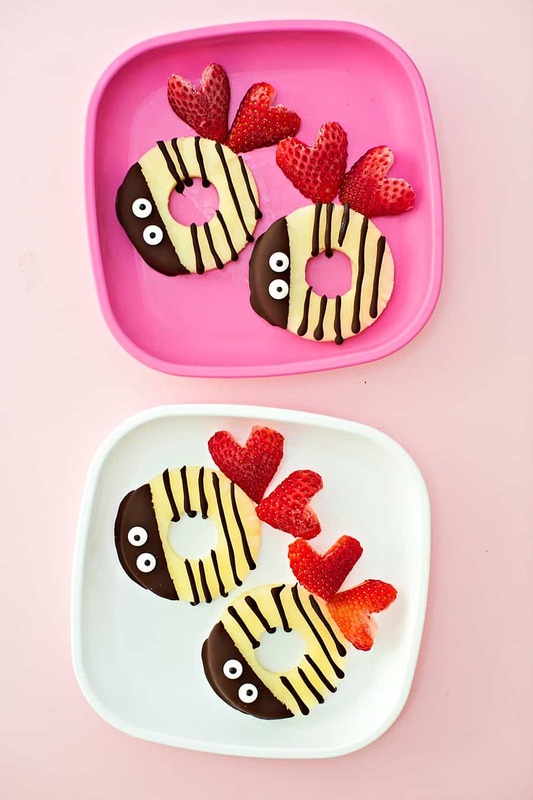 Make this cute Valentine Bee Mine Fruit Snack For Kids to celebrate Valentine's Day or any day fo the year! 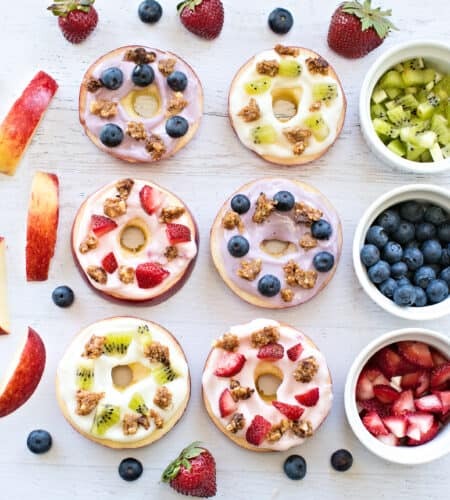 Line a tray with parchment paper and freeze your pineapple slices for at least 30 minutes. This helps the chocolate not get messy when you add it. While the pineapple is freezing, melt your chocolate chips with 1 tsp of vegetable oil in a microwave safe bowl, 25 seconds at a time, stirring until melted. Remove your pineapple slices from the freezer and dip one end. Add your googly eyes. Place back to the freezer for a few minutes to set. This shouldn't take long as they were in the freezer to begin with. In the meantime pour the rest of your melted chocolate in a sandwich plastic bag and snip off a tiny piece of the end. 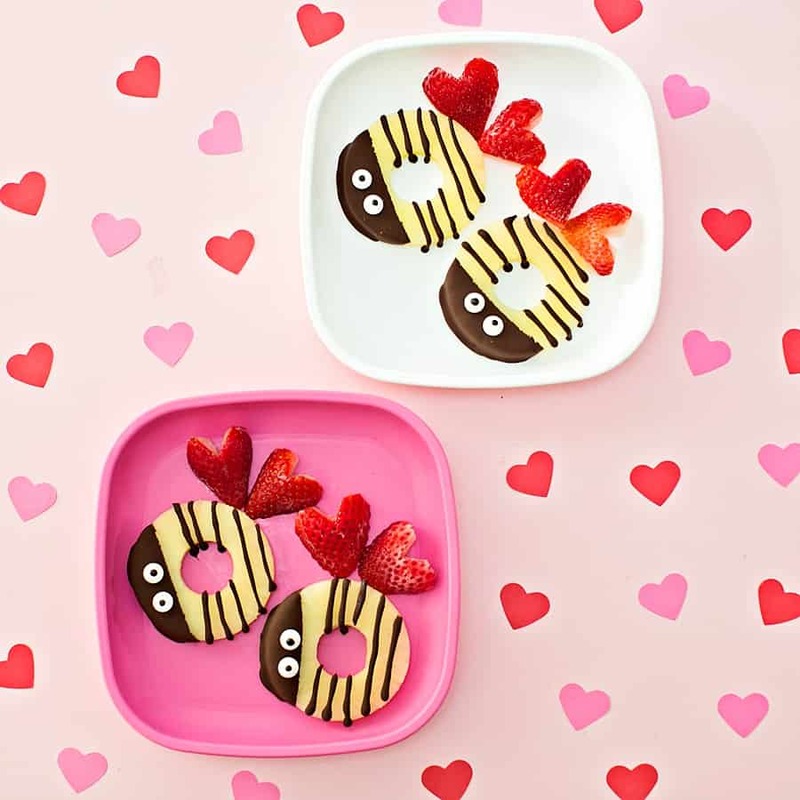 Remove the pineapples once more from the freezer and pipe chocolate lines down the slices. They should harden upon contact because the pineapples are cold. 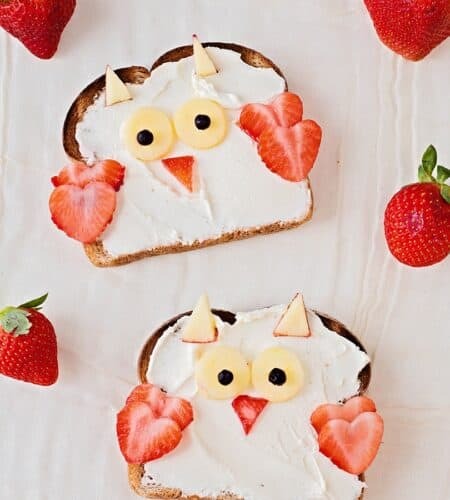 This is great for not leaving a runny mess. 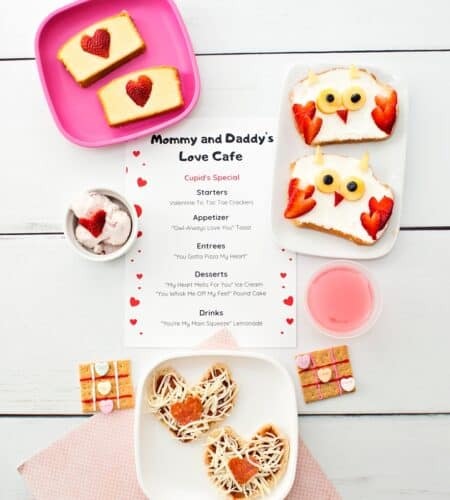 Cut your strawberries in half and make a V shape on each slice to turn hearts. 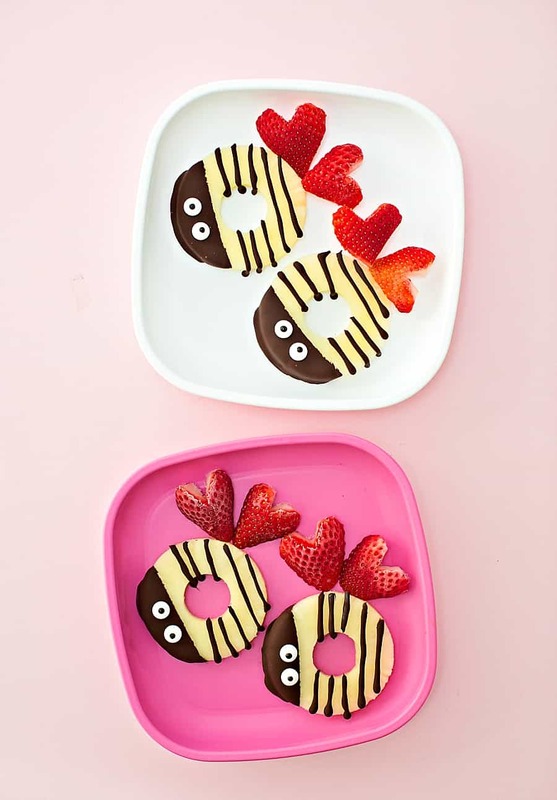 Add to your pineapple bees on the plate as wings.